« Breaking news : Heparin declared as a thrombolytic agent . . . Maclean crowned with Nobel glory ! 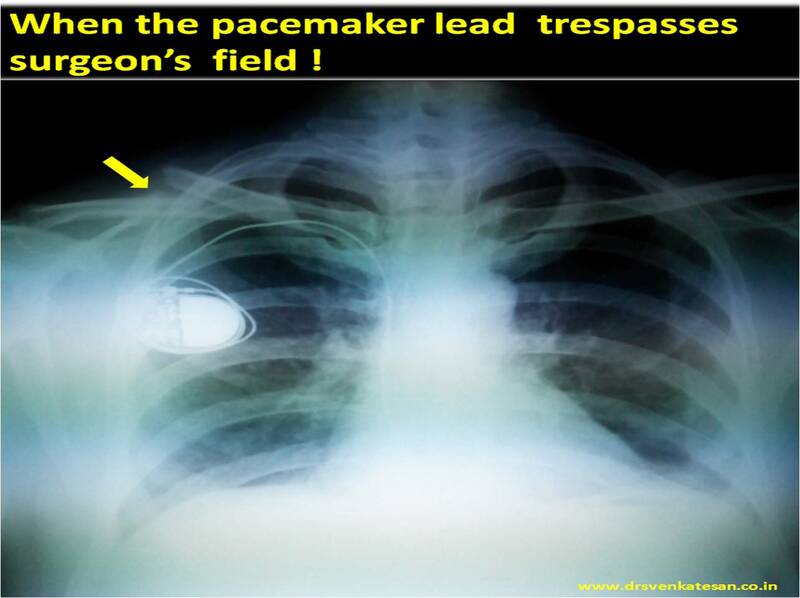 Unusual calls in cardiology : A Pacemaker lead and a clavicle fracture ! A tense anesthetist calls for help ! I had an unusual cardiac consult last week .A middle aged man who was to undergo routine ortho surgery wanted a cardiac clearance. It was obvious why they got tensed up as the pacemaker wire criss -crossed surgical field . His ECG showed own rhythm of 80/minute but occasionally VVI pacemaker was capturing his ventricles. Keep another temporary pacer ready . Hold a cardiologist on call and pacemaker programmer on site. Surgical field kept small with minimal manipulation . Issue of cautery : Free to do as long as it’s bipolar and good earthing plate. Keeping a magnet over the pacemaker generator removes the pacemaker sensing function and is an option if prolonged electrical interference. *Caution : Response to magnet can be quiet variable .Should be done only with cardiologist supervision. What happened to this patient during surgery ? Nothing alarming.When anesthesia was induced he was entirely on pacemaker rhythm . limited cautery was used with ease. Patient tolerated well. One need not panic when a pacemaker patient is taken up for non cardiac surgery .It is not a major issue .Few precautions are required . Read a related article in this site .Electrical cautery in pacemaker patients.